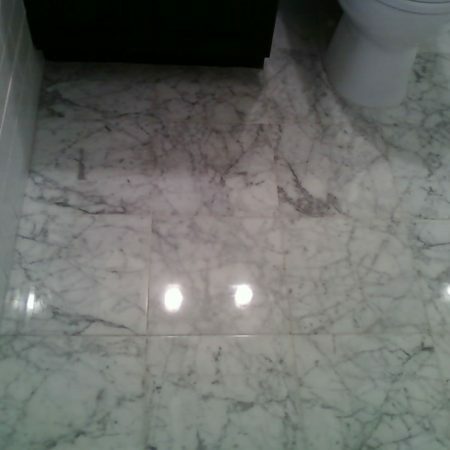 Marble Bathroom Restoration. 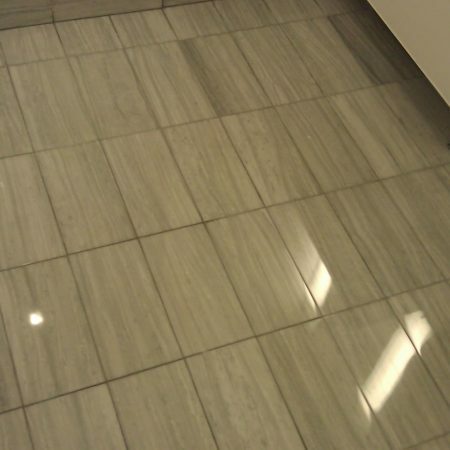 Include Cleaning, Polishing, Re Grouting and Sealing. 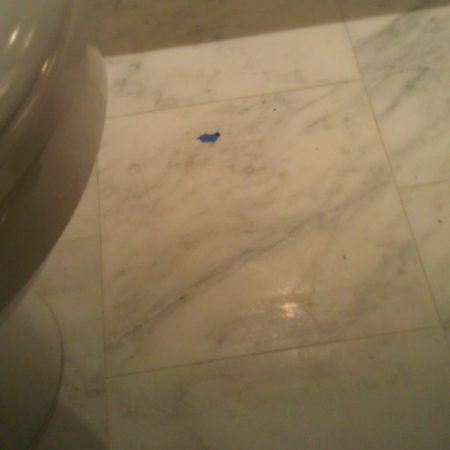 Still Have a Dull Marble in Your Bathroom? 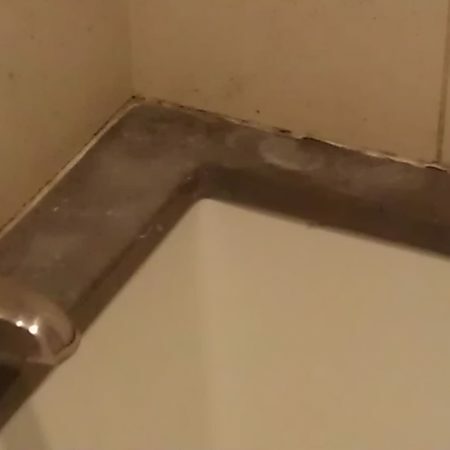 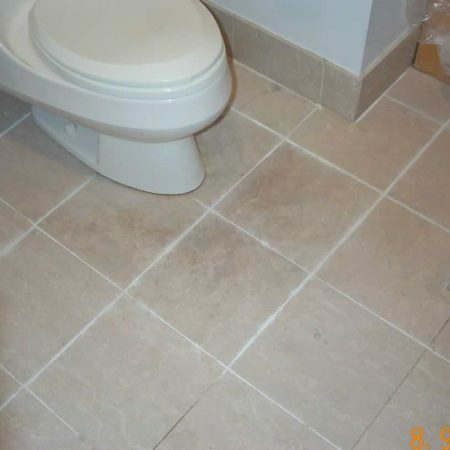 Bathroom Restoration is Our Solution. 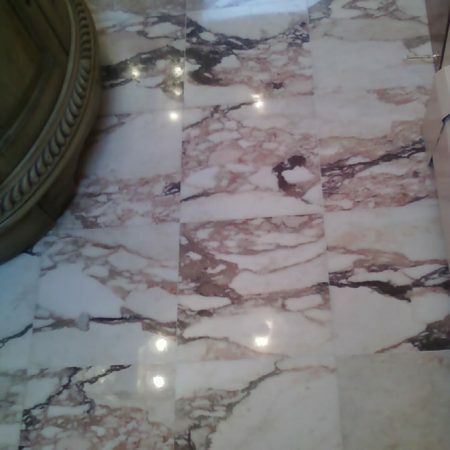 We are providing marble restoration service for entire bathroom include showers, floors, counter tops, vanities and other parts. 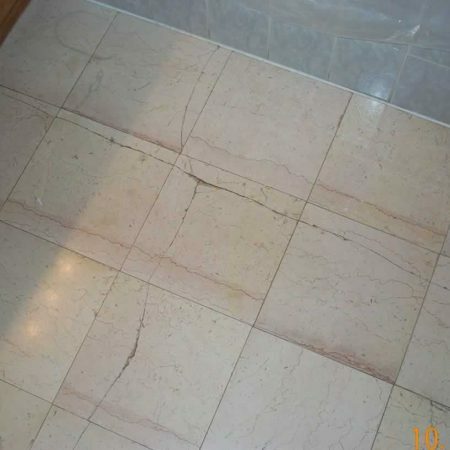 Restoration processes can include polishing, grouting, cleaning, sealing chips and cracks repair as well. 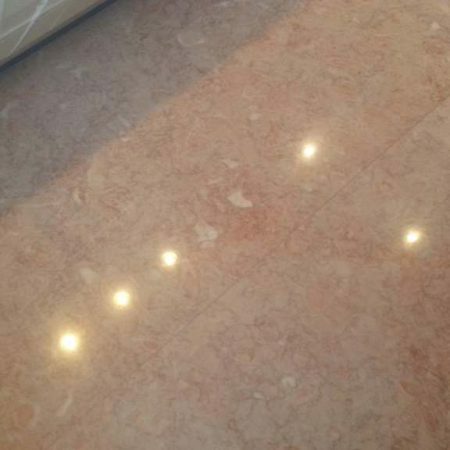 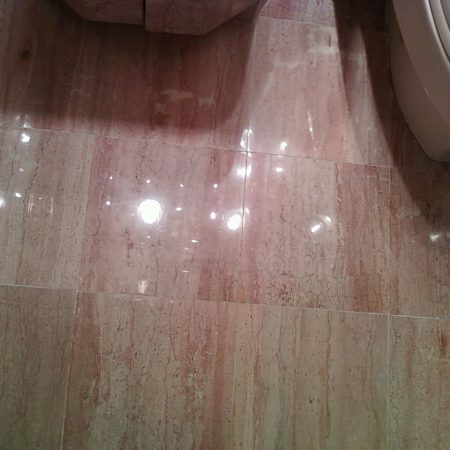 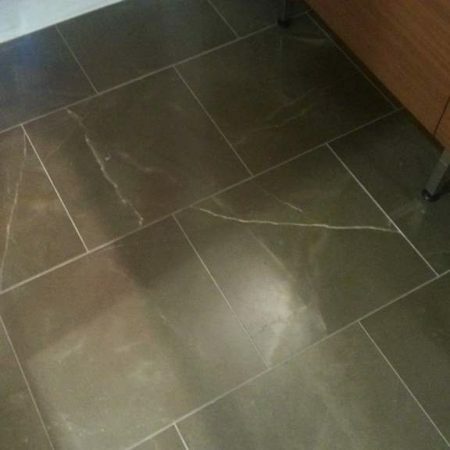 We are using an efficient polishing process that brings back original shine to your marble. 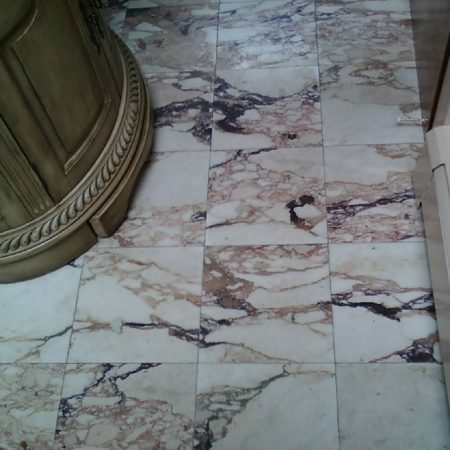 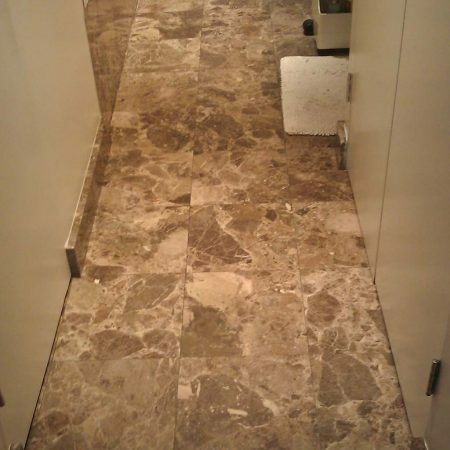 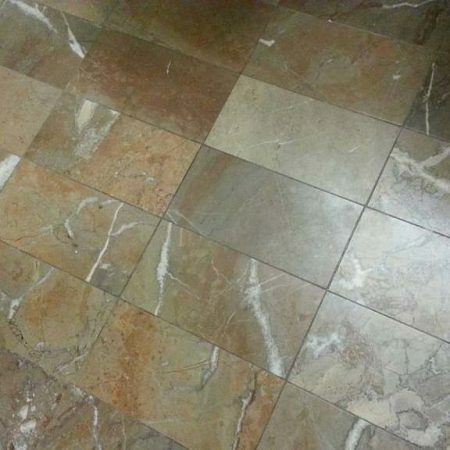 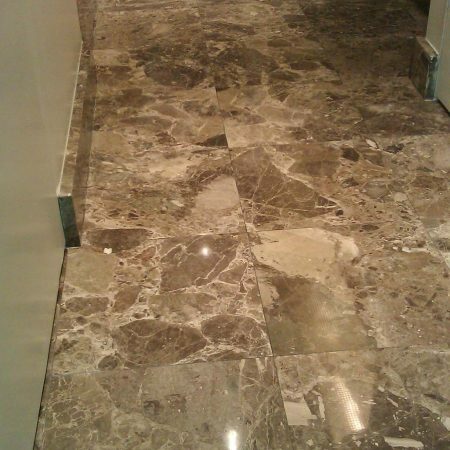 Our sealing procedure helps protect marble for permanent staining and mold development. 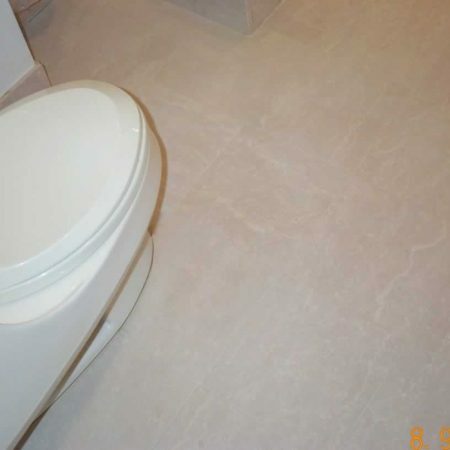 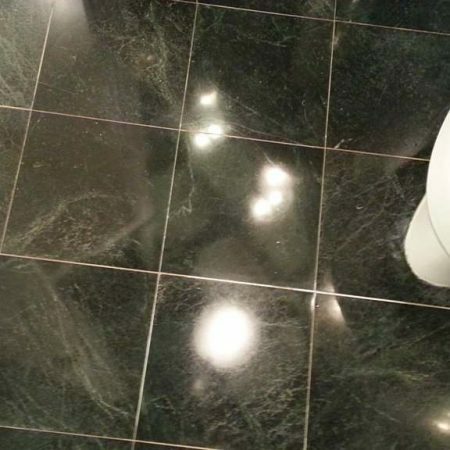 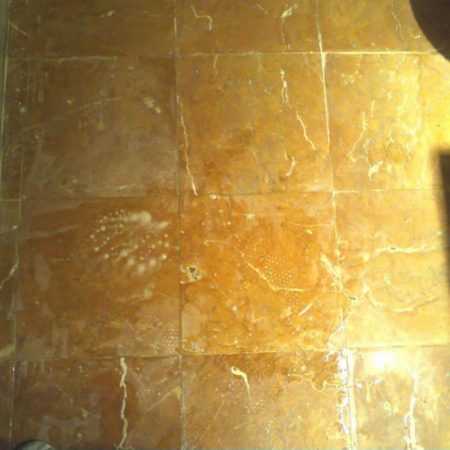 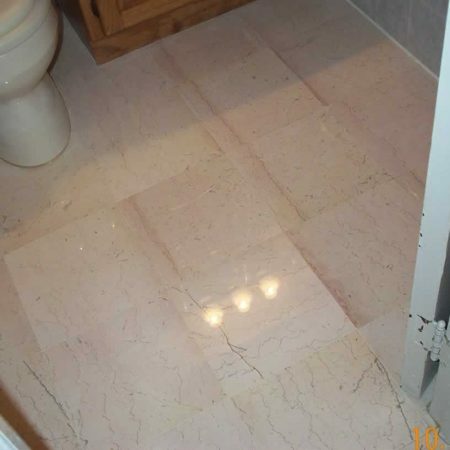 There are various causes of staining in the marble bathroom might include permanent or temporary problems. 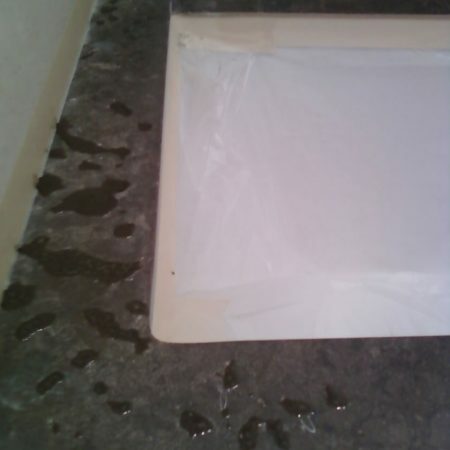 The stains that easy come off, none volatile and neutral. 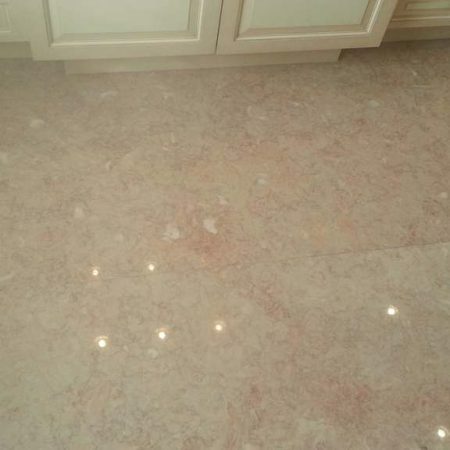 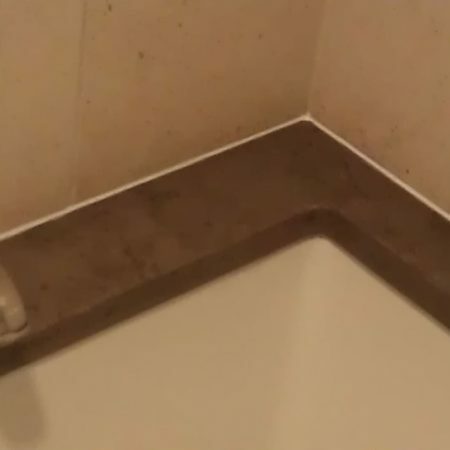 Having acidic or general cleaners spend too long on your marble will cause irreversible damage, which will require that you re polish the surfaces. 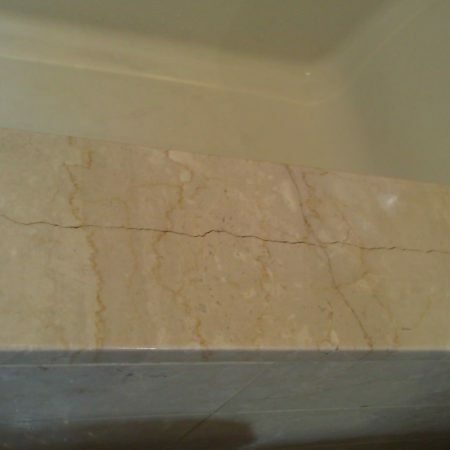 Marble bathroom restoration required many actions to bring the original marble appearance. 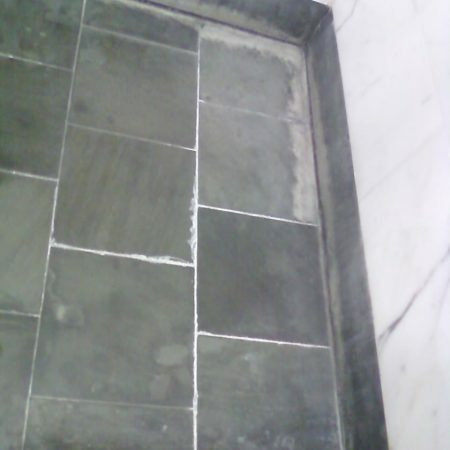 Many showers and bathrooms require occasional maintenance to keep the original appearance for long time. 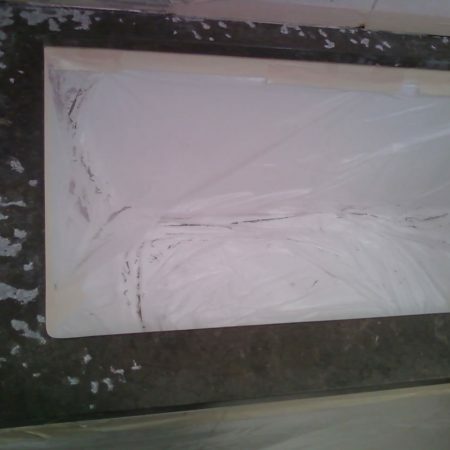 We will return your bathroom to their original condition or significantly improve it, saving you money and time. 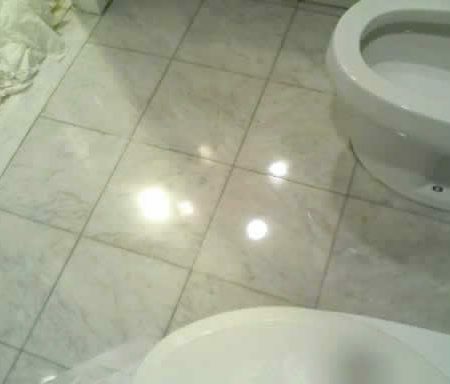 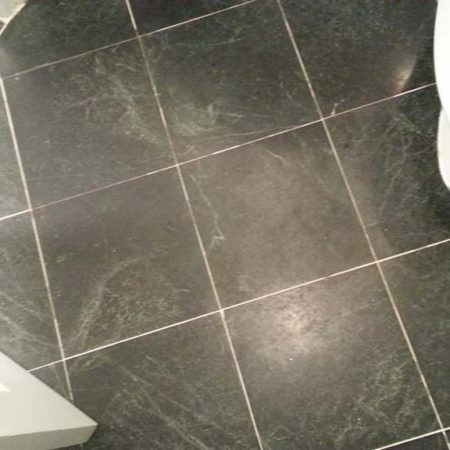 Restored shine finish on bathroom marble floor. 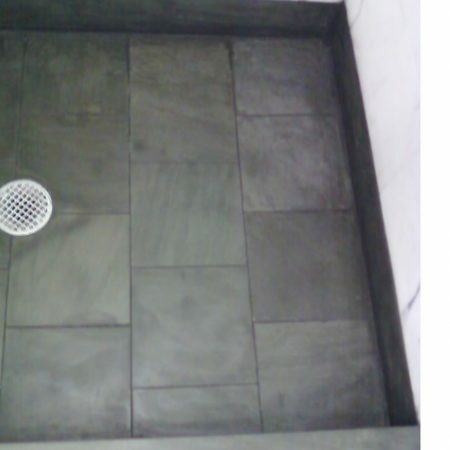 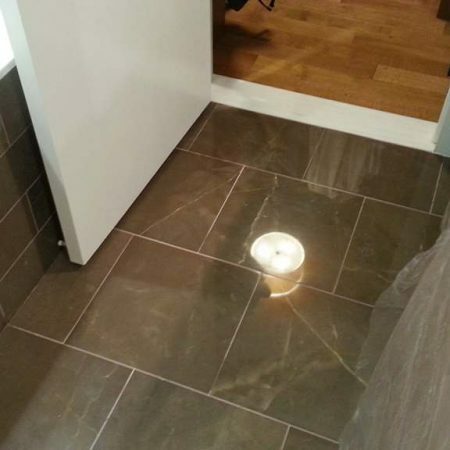 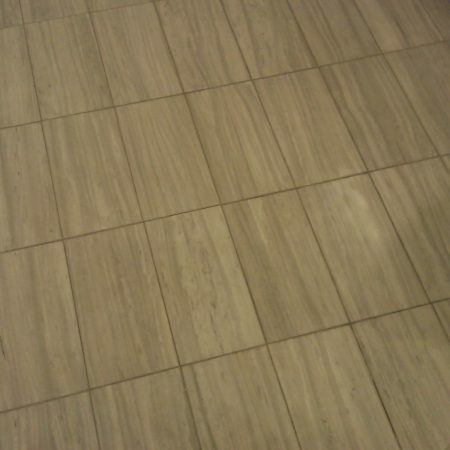 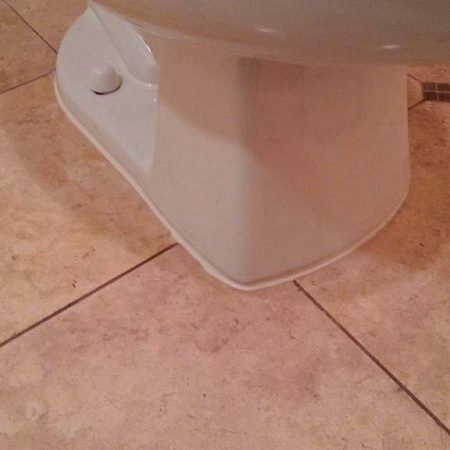 Small bathroom tiled floor. 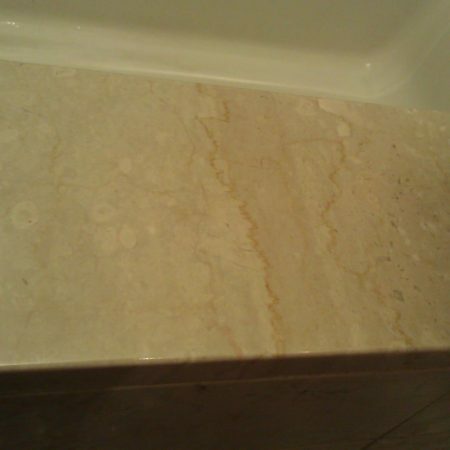 Marble bathroom restoration service. 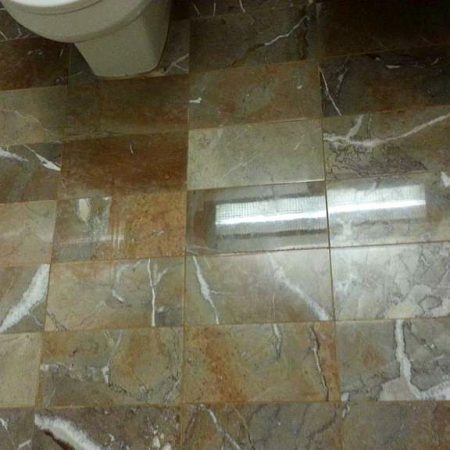 Before polishing. 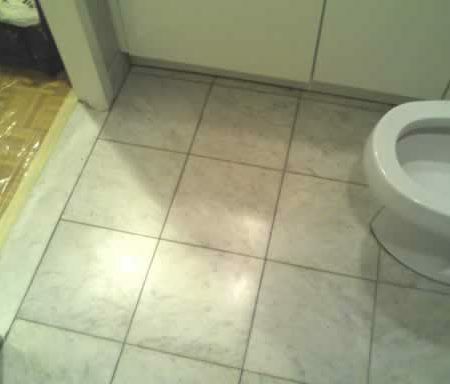 Small bathroom. 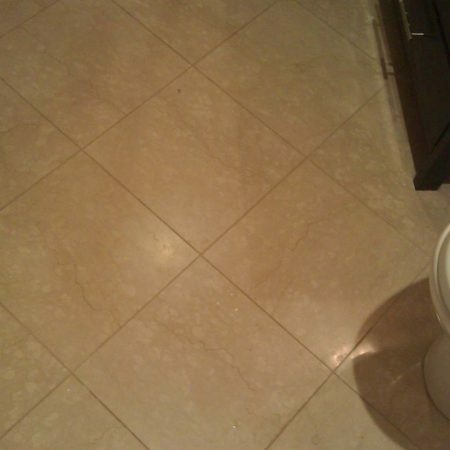 Tiled floor restoration. 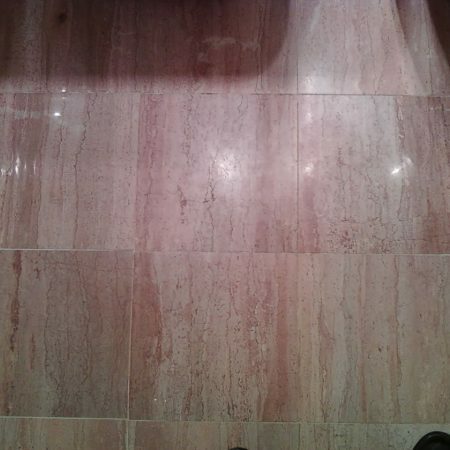 Picture after polishing. 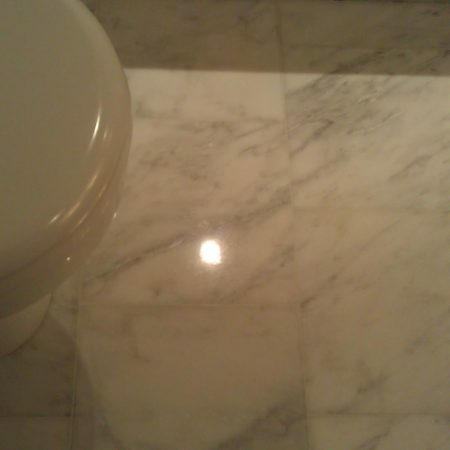 All etchings were removed from marble by polishing and buffing and then sealed. 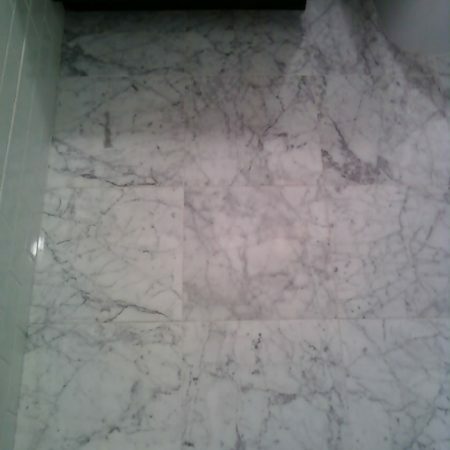 White Carrara Bathroom Floor. 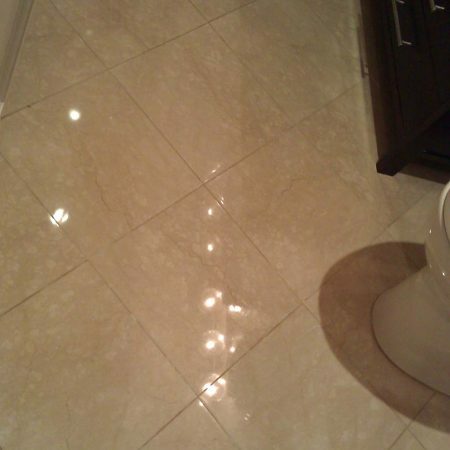 Tiles were polished to shine and sealed. 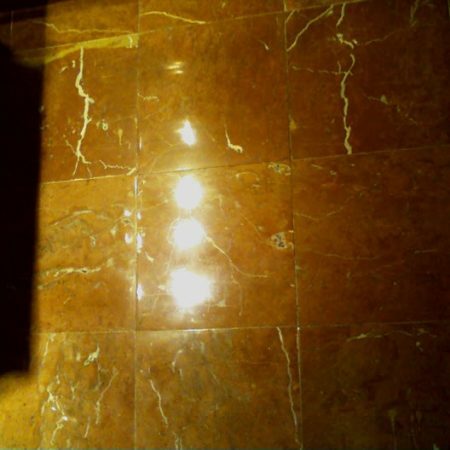 General polishing and buffing. 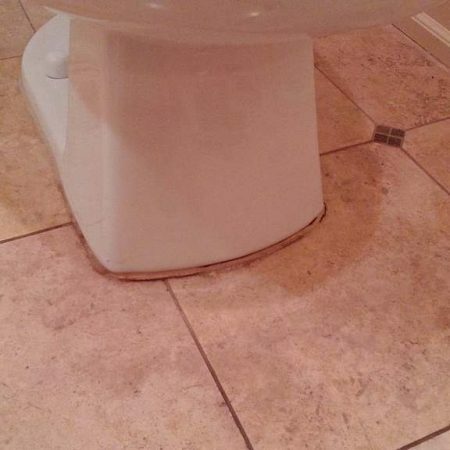 Bathroom floor restoration.